Abbott has partnered with influencers like me for its Ensure Program. As part of this Program, I received free product samples—but all thoughts and opinions are my own. This is 56 years young in an Aerial Yoga class! (Pictured Right, Robin Downes of Yoga Flava at OM Factory) I’ve always prided myself on my youthful vitality and to be honest, this is the first year I felt the effects of some muscle loss. At the "Mind Your Muscles" event we were treated to a light breakfast while enjoying a meet and greet with representatives from AARP and Abbott. We were educated about managing muscle loss by Gabrielle Redford, AARP Executive Editor, Health and Tiffany Dewitt, registered Dietitian at Abbott/Ensure. The Ensure Enlive Aerial Yoga session was amazing and challenging, your muscles are really tested. It was my first time trying it and it evoked my childhood gymnastics days and my 20 year yoga practice. I surprised myself with the the amount of strength I did have to pose for the awesome photo shot of me in an Aerial Yoga split! After the yoga session we were invited to further test our muscles by wearing weights, did you know this is what it would feel like to experience the effects of muscle loss? It was shocking to learn that we can lose up to 8% of muscle each year after age 40. 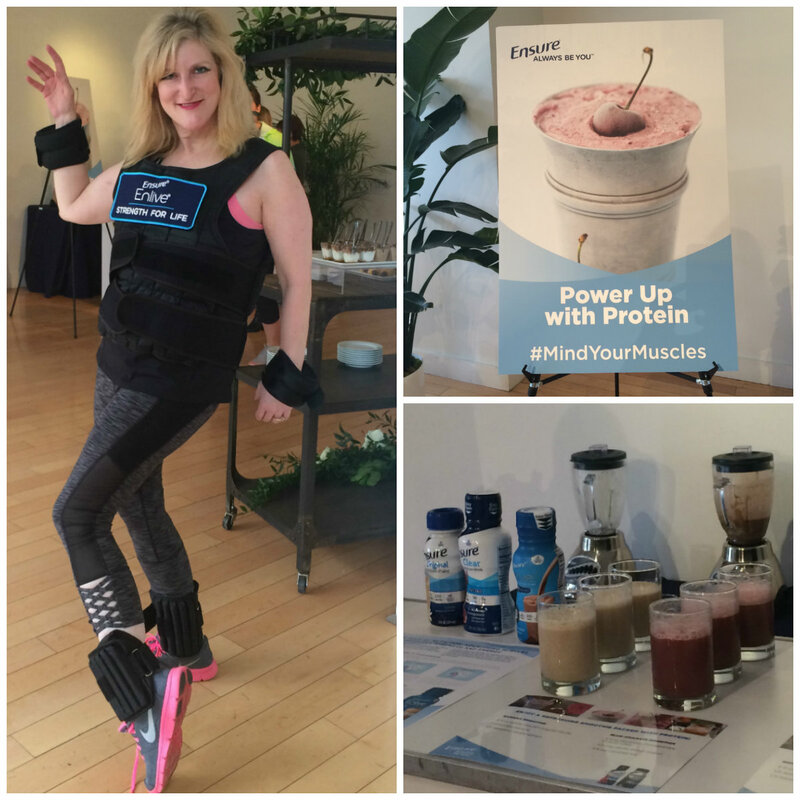 We were rewarded with a sampling of various Ensure smoothies and I enjoyed them all! 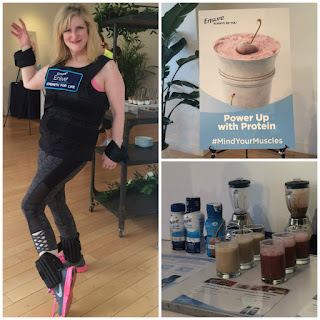 One of the smoothies we tried included Ensure Enlive, a nutrition drink that includes key nutrients that work together to help support muscle health for older adults, whether they are recovering from an illness or rebuilding muscle lost naturally with age. I'm looking forward to incorporating Ensure Enlive into my wellness program and recommending it to friends and family for vibrant health. AARP and ABBOTT are committed to helping people live their best possible life through the power of knowledge and good health. To obtain a better understanding of diet and health issues affecting adults 50+, Abbott partnered with AARP on an independent survey administered to AARP members. 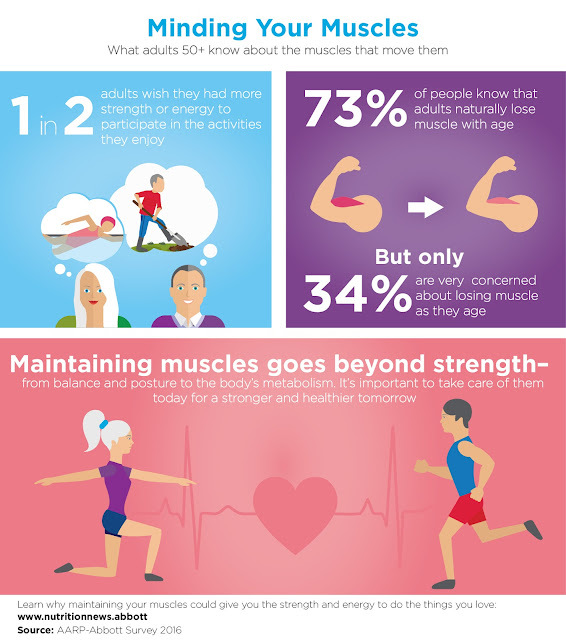 The survey provides a revealing glimpse into the state of health for adults age 50+, as well as this group’s understanding of some important nutrition, exercise and muscle mass fundamentals. The good news is that 1 out of 2 adults age 50+ rates his or her current health as excellent or very good. 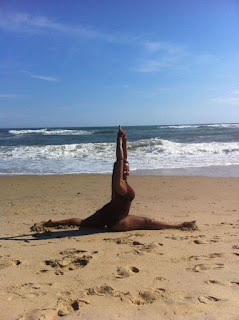 Get your "Om" on while on vacation in Martha's Vineyard with Robin Downes of Yoga Flava On The Vine! Sign up for your Yoga Flava private and small group sessions from August 10th to the 13th. Email to book your date, time and rate info. robin@yogaflava.com. Feel free to call 310-266-7362. 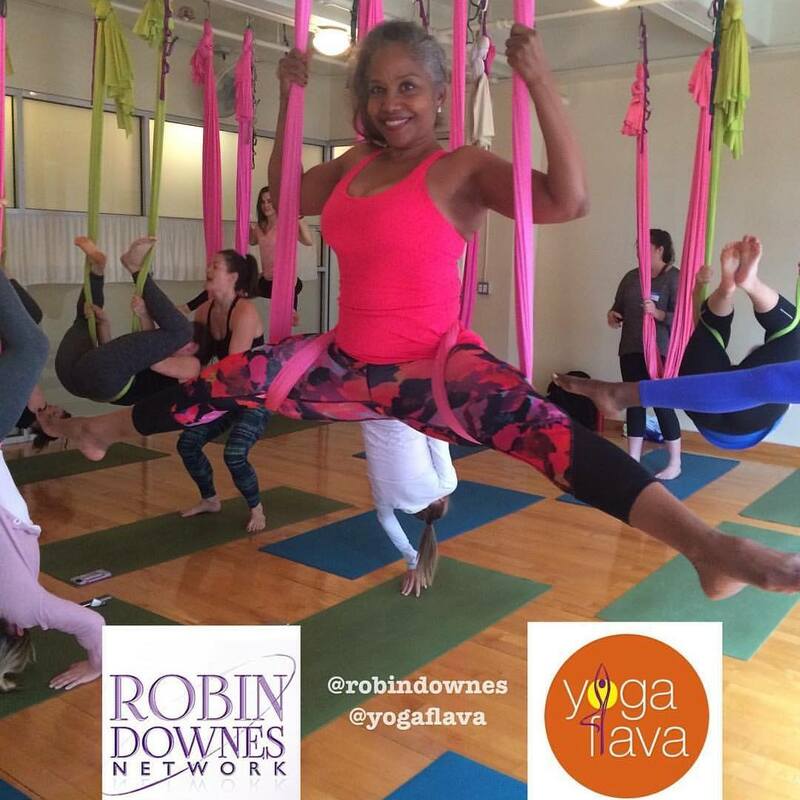 Robin Downes is an Emmy Award winning Journalist, Health and Wellness Coach, Syndicated Entertainment and Lifestyle Multi-Media Personality. She is the creator of Yoga Flava,(YogaFlava.com) a Hatha Yoga based, tasteful blend of ancient moves to contemporary grooves. 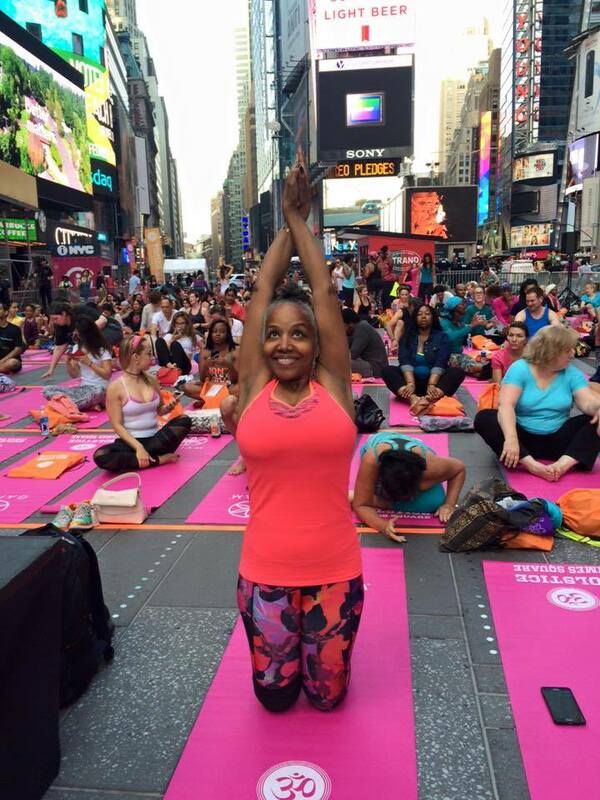 Since 1996, Robin is Hollywood’s certified Yoga instructor to the stars with clients such as Vanessa Williams, Brandy, John Salley, LisaRaye McCoy and Hip-Hop business guru Russell Simmons, to name a few. She is the first African American woman to have an internationally distributed video through Wal-Mart (Yoga Flava for Relaxation, Vol.1). Additionally, Essence magazine recommended Yoga Flava in its 2010 Wealth and Wellness issue. Or you can stream it or download the mp3 here: http://traffic.libsyn.com/blackyogasuperstars/BYS_ep8_YogaFlava.mp3 — feeling joyful. Time To Align With Summer Solstice 2016 - Yoga Flava Style!